The Art in a Story class is used as a means of introducing children to one another and to art through a story. Each half term we start a new story based on a fairy-tale, myth or legend which encourages continuity and is results in the children having deeper memories of what they’re learnt about. 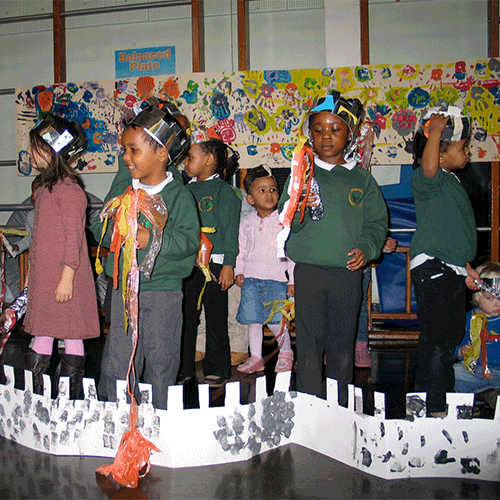 Once the story has been established, we expand on the story through stretches, song and dance on a week-to-week basis. As the story unfolds we introduce the steps to make characters and props through techniques like puppetry, printmaking and clay-modelling.